Hi! 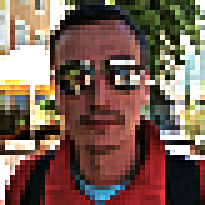 My name is Alexander Safonov and I am a programmer currently living in Russia. I like programming (not to be confused with software engineering) a lot, so at my spare time I create awesome software. The full list you can find in "Projects" section of this site. Music. I can play guitar, bass, drums. I also like idea of making music with computer.